I’m Alex Thomas, the creative director at Stoic. Though, titles don’t mean a whole lot for an indie developer. There are three of us at Stoic: myself, Arnie Jorgensen (the art director) and John Watson (the technical director). What that usually ends up meaning is we all end up doing a little bit of everything, or rather, a lot of everything. While John has an absolute stranglehold on the programming side of things, we all have a lot of influence on the design and the production decisions involved in making a game of this scope. This was always something we intended to do from the beginning. For one, I’ve been interested in two-dimensional animation from a young age. I went to college as a 2D animation major, but got a job in game development before I was able to work on any animated features, so this is something of a personal goal for me. On a pragmatic level, we developed a method of rotoscoping (which involves standing on a ladder with a camcorder), which lets us capture what we want before we turn it into traditional 2D animation, creating each frame of the action by hand. Rook and Alette were characters we designed the whole world around. We were interested in a fantasy world that wasn’t about heroes; it was about normal people. 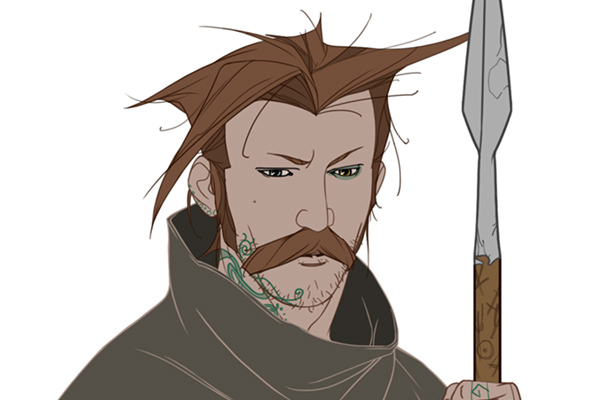 Rook is a middle-aged father with a teenage daughter. He’s not out to save the world; he’s out to protect his family. In a lot of ways, our keystone we come back to over and over is these are ordinary people. 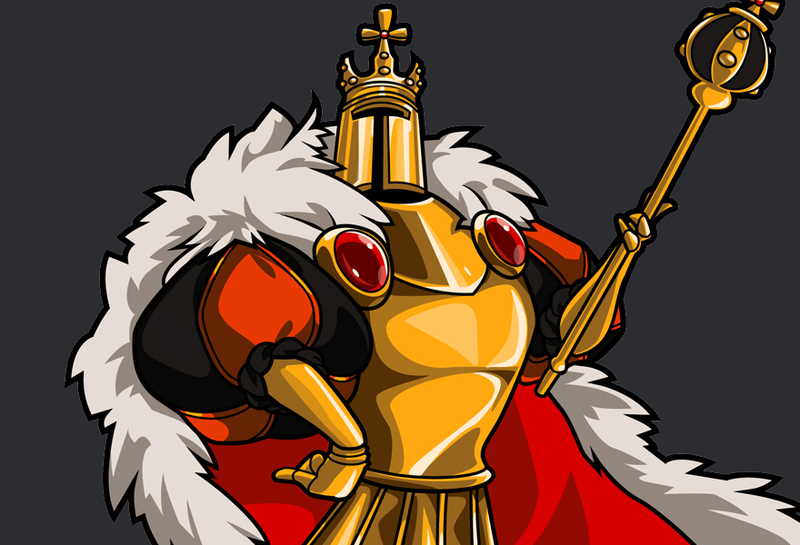 They don’t command armies and have royal blood. 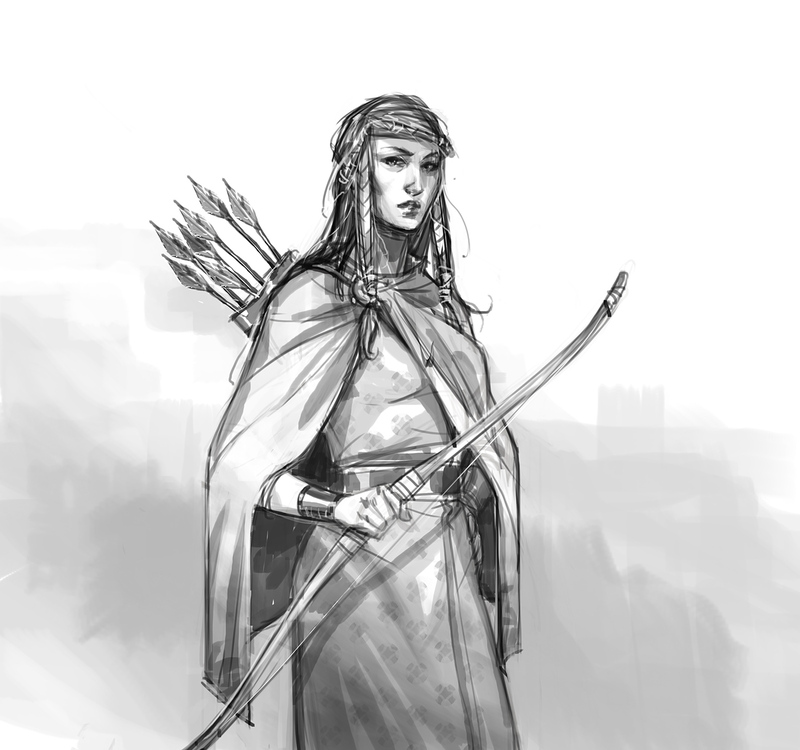 Rook is a hunter with a woodman’s ax; his daughter learned to hunt from him. We created them with the idea we wanted the player to feel what they did–confusion, frustration, the will to survive in the face of insurmountable odds. All feelings you usually wouldn’t try to hang on your audience. 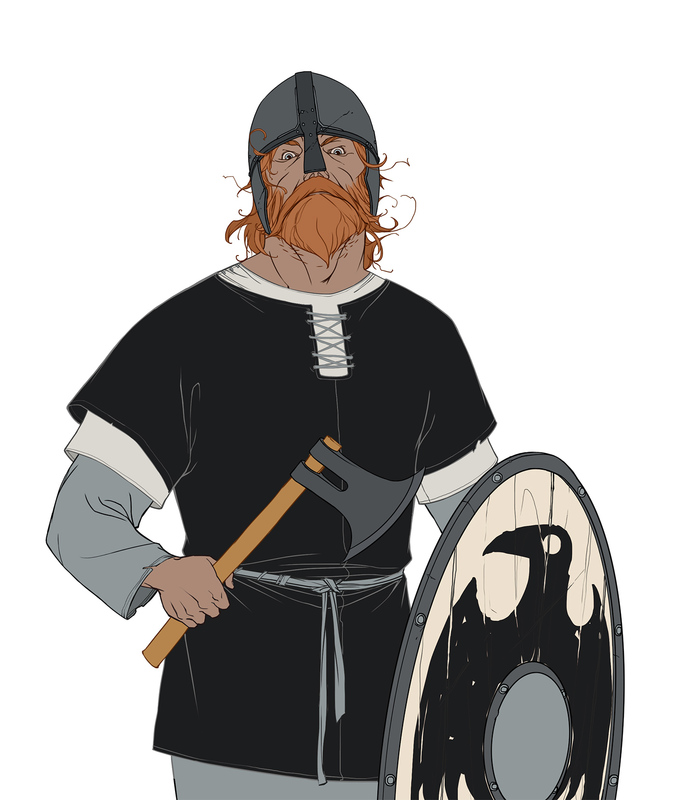 The Varl are the giants in The Banner Saga. 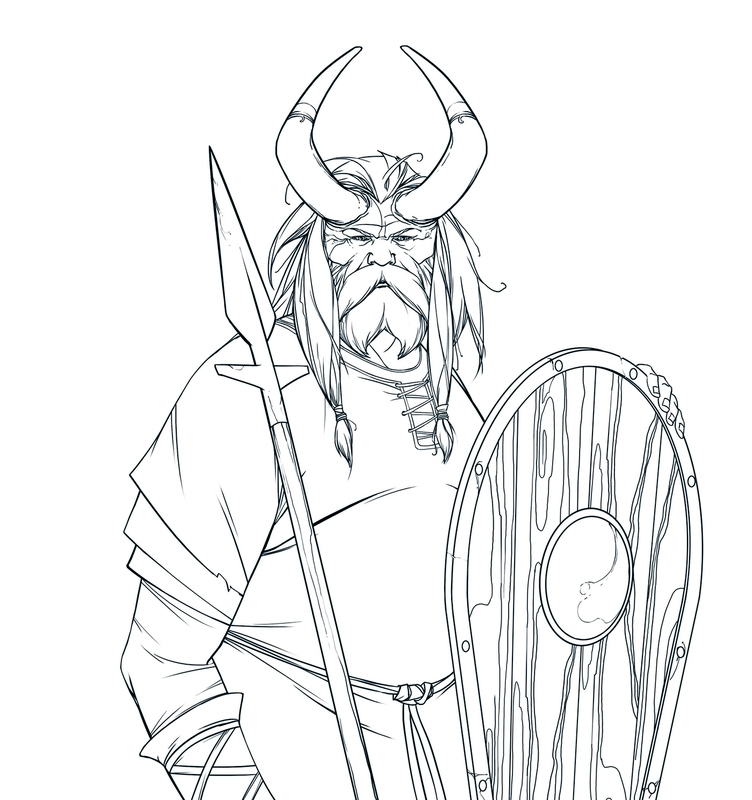 They’re our take on the Jotun from Norse mythology. If you know much Norse mythology, you know that the frost giants, humanity and the Aesir gods were always fighting each other. 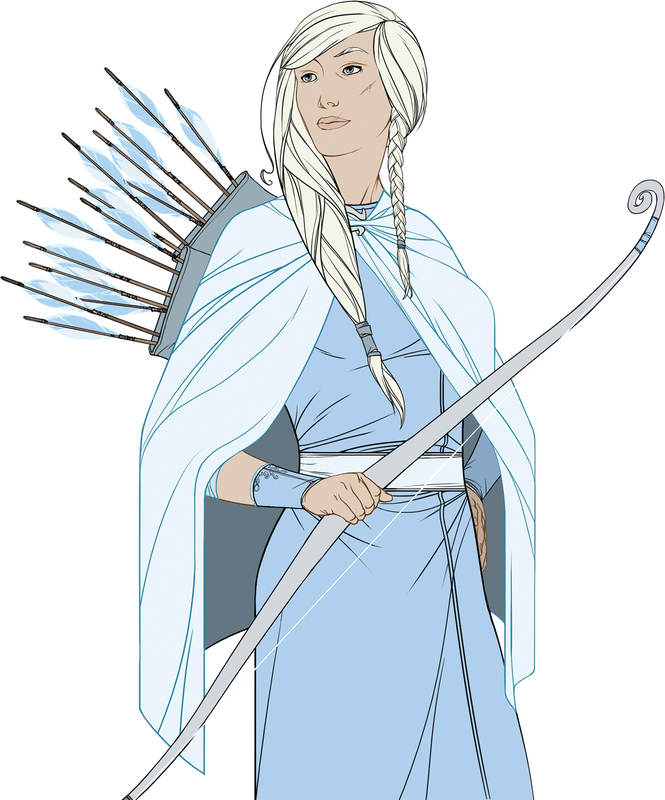 And our Varl did clash with men in the past. Now they have an uneasy alliance with each other as they work together to keep the Dredge held back. 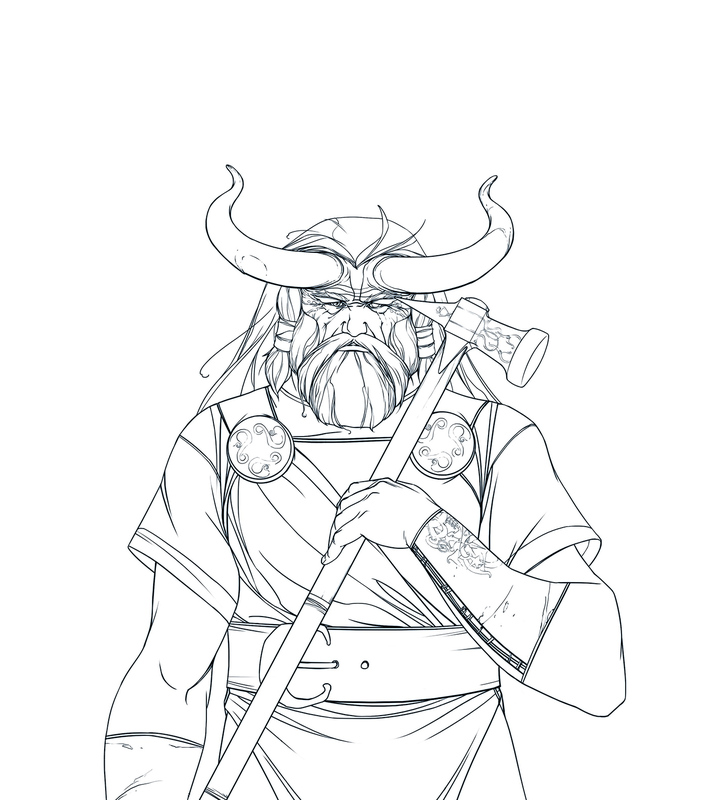 Overall there’s an interesting relationship between them: the enormous, powerful Varl can’t have children, and each one was hand-made by a god who is dead. When they’re gone, that’s it, and those times seem to be happening now. 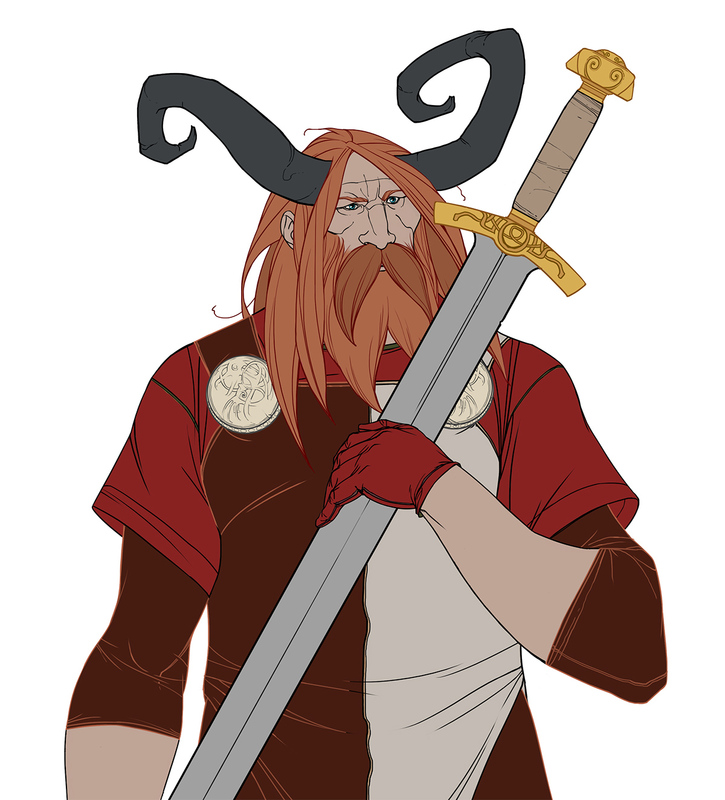 Just like our choice to go with a Nordic theme, we wanted enemies who weren’t just generic copies from other genres. We rejected the giants as humankind’s enemy from the beginning. 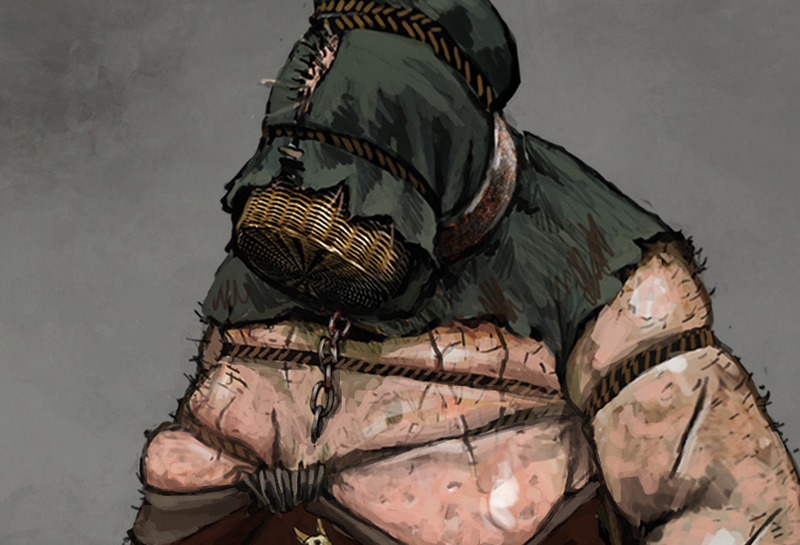 We wanted a race that looked original and even more imposing than the Varl, yet not wild monsters who roar and spit. Ultimately, we were inspired by the quiet but imposing feeling you get from creatures in Shadow of the Colossus, and we didn’t want it to be obvious exactly what they are. Are they made of stone? Just wearing stone armor? Maybe not even living? These are things that get revealed throughout the first game. This would be a better question for Arnie, but if I can speak in his place, I think he’d say it was defining the original style. We knew the art style was going to be based on Eyvind Earle, the American master painter and art director of Sleeping Beauty. 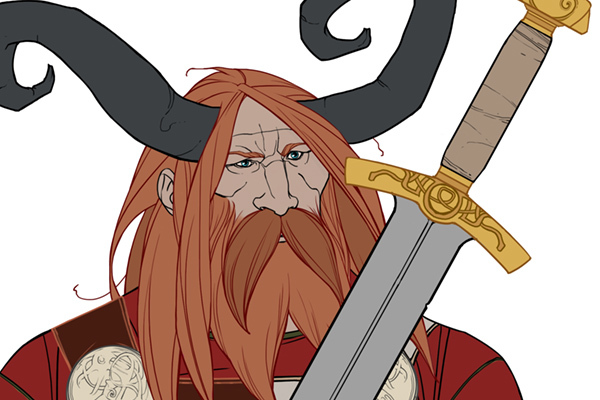 He doesn’t do much character work, though, so when we started defining the look of the characters, we went through a lot of different iterations. 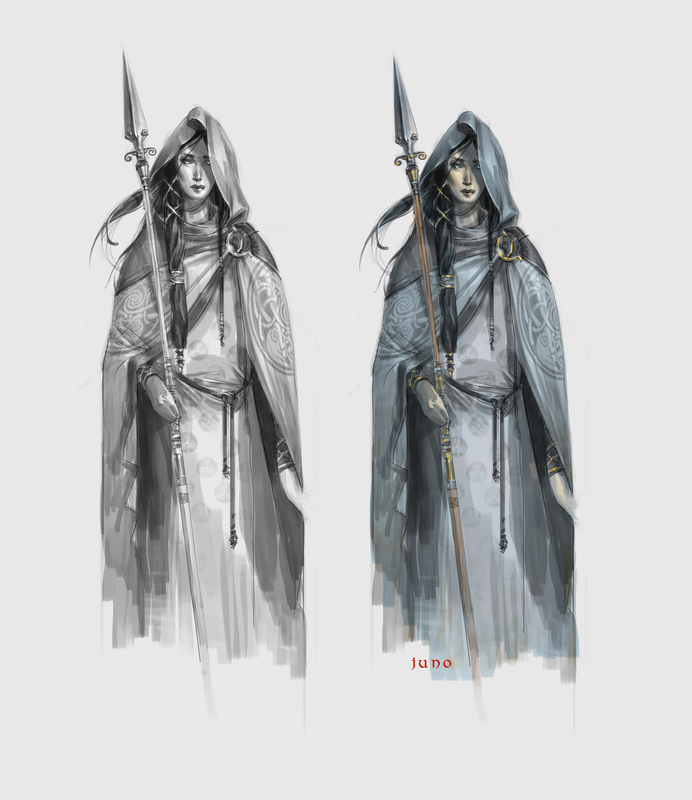 We looked at fully-painted, different types of shading, different lighting options. In the end, we kept coming back to a simple, animated style: flat colors and line-work, to match the combat versions of each character. We’re lucky to be able to make decisions like this. No publisher concerned about reaching the broadest possible audience would have ever agreed to this look, we think. 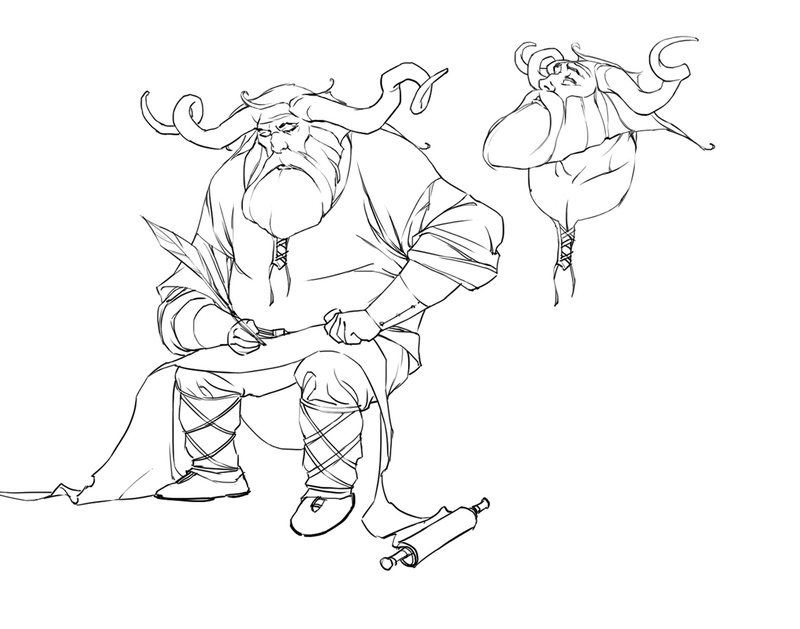 From a story point of view, one of my favorite characters is Krumr, one of the oldest surviving Varl to date. He’s at the old-man age where you can say whatever’s on your mind without worrying about what other people think of you. He’s also got tons of stories to tell from the early days of creation. In a story that can get pretty serious and sometimes grim, he’s a great counter-example: somebody who welcomes the coming doomsday. From an art perspective, I’m pretty partial to Ekkill, a guy you could reasonably call a psychopath. It was great fun giving him a subtle little eye-twitch in his chin-up, hard-eyed stare. The final game ended up with roughly 25 characters, and it’s hard to pick favorites. I love them all. 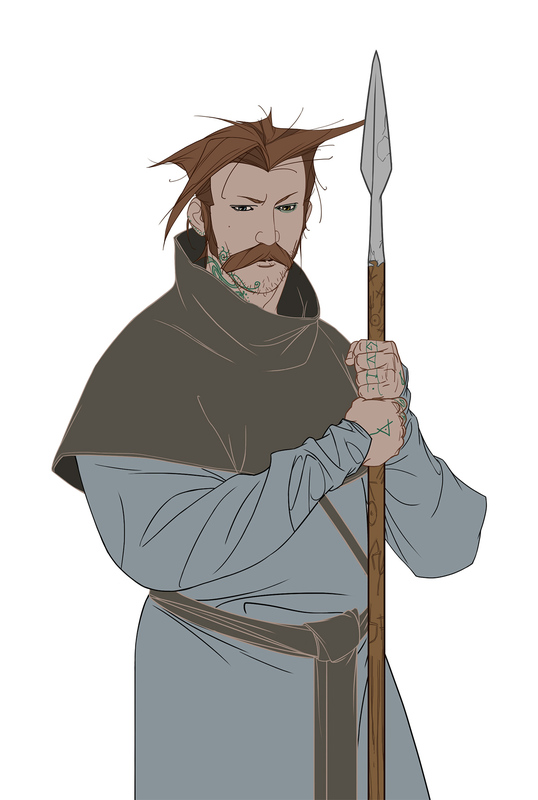 We thank Stoic for letting us discover the development of creating some the beautiful character designs in The Banner Saga.